A Europol-led operation involving police forces from Cyprus, Greece, Bulgaria, and the Netherlands, has targeted one of the largest pirate IPTV operations in the world. At least three people have been arrested. Servers in Bulgaria and the Netherlands reportedly supplied the content to an estimated 500,000 subscribers worldwide, generating annual revenues of around five million euros. Live TV is in massive demand but accessing all content in a particular region can be a hugely expensive proposition, with tradtional broadcasting monopolies demanding large subscription fees. For millions around the world, this ‘problem’ can be easily circumvented. 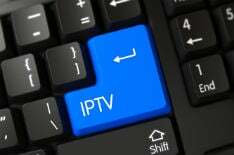 Pirate IPTV operations, which supply thousands of otherwise subscription channels via the Internet, are on the increase. They’re accessible for just a few dollars, euros, or pounds per month, slashing bills versus official providers on a grand scale. This week, however, police forces around Europe coordinated to target what they claim is one of the world’s largest illicit IPTV operations. The investigation was launched last February by Europol and on Tuesday coordinated actions were carried out in Cyprus, Bulgaria, Greece, and the Netherlands. Police action was spread across the continent, with at least nine separate raids, including in the Netherlands where servers were uncovered. However, it was determined that these were in place to hide the true location of the operation’s main servers. Similar ‘front’ servers were also deployed in other regions. Servers connected to the IPTV operation were reportedly located in southwestern Bulgaria. According to sources in Cyprus, police requested permission from the Larnaca District Court to detain the arrested individuals for eight days. However, local news outlet Philenews said that any decision would be postponed until this morning, since one of the three suspects, an English Cypriot, required an interpreter which caused a delay. In addition to prosecutors and defense lawyers, two Dutch investigators from Europol were present in court yesterday. The hearing lasted for six hours and was said to be so intensive that the court stenographer had to be replaced due to overwork.